Sheikh Ahmad also denied wrongdoing last year when he was identified in a United States Department of Justice document in April in a case involving Guam's Richard Lai. Lai pleaded guilty to charges of receiving nearly $1 million in bribes connected to FIFA. Sheikh Ahmad stepped down from his Footballing roles, including as a member of FIFA's ruling Council, as a result. At last year's ANOC General Assembly he received a round of applause from delegates in Prague after being "cleared" of wrongdoing following the accusations. This year's edition of the annual General Assembly is expected to be the biggest as more than 1,400 delegates are scheduled to attend. Other elections are also on the agenda, including for ANOC senior vice-president, a position set to be claimed by Fiji's IOC Executive Board member Robin Mitchell. Mitchell will replace Uruguayan Julio Maglione in the post should, as expected, his election to the position is confirmed at the General Assembly. The two candidates in the race for the 2026 Winter Olympic and Paralympic Games - a joint bid from Milan-Cortina d'Ampezzo in Italy and Sweden's capital Stockholm - will give their first official presentations to the Olympic Movement during the General Assembly. 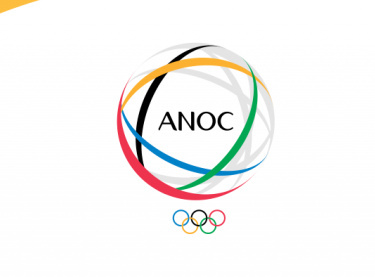 ANOC will also establish an Ethics Commission, comprised of seven members. This will include five independent members - one from each of the Olympic continents that have legal training and experience in arbitration - as well as one athlete representative and one representative from the ANOC Executive Council.